The Edmonton Mercurys carried off the gold on Canada’s behalf at the 1952 Winter Olympics in Oslo. On this very day they plundered the Swiss by a score of 11-2; the very next, they won their sixth game in a row in a 3-2 squeeze past the Swedes. The talk of the tournament that week was all about how brash and bumpingly the North Americans insisted on playing their hockey. 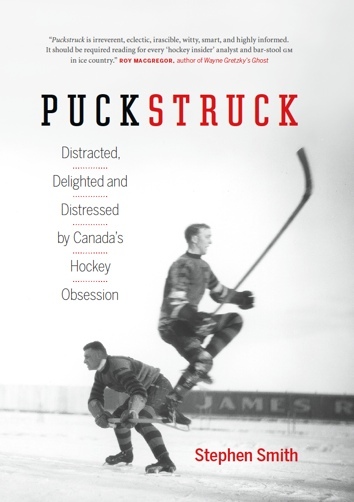 Canada’s 4-1 win over Czechoslovakia was the stormiest of the tournament: “slashing, hooking, holding were thrown in,” Jack Sullivan of the Canadian Press wrote, “even a mild fistic display by Canada’s Gordie Robertson.” An 8-2 U.S. win over Switzerland saw an American defenceman, Joe Czarnota, ejected from the game for an attack on Gian Bazzi. From the stands, Norwegian fans threw orange peels in protest, and barracked (the AP noted) the Americans, calling them “Chicago gangsters.” The Swiss wanted Czarnota suspended. The IIHF didn’t think that was necessary, though they did see fit to ask the U.S. and Canada to behave. At this point several hundred youngsters engaged the police in a battle to reach the Canadians. The kids’ wedge pierced the police lines and the Canadian players gave the lucky first-comers their hockey sticks as souvenirs. A playoff was needed to decide the bronze. A 4-0 final-day win by Czechoslovakia over Sweden left the teams with identical records, so they played again the following day. This time the Swedes prevailed by a score of 5-3. 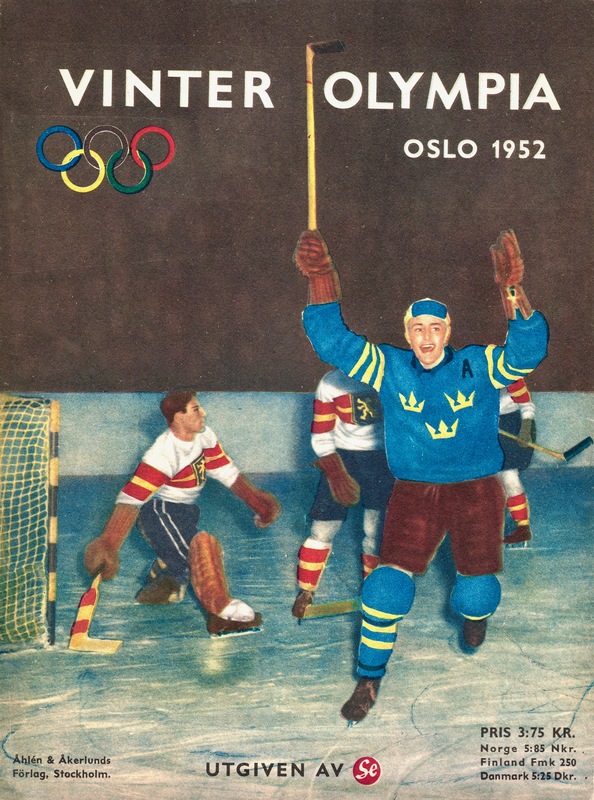 That’s Sweden’s Göte Blomqvist here, above, having just scored his team’s winning goal.